The time has come to suit and fight for what you believe is right, even at the cost of your friendships, in this Captain America: Civil War Child Full Mask. 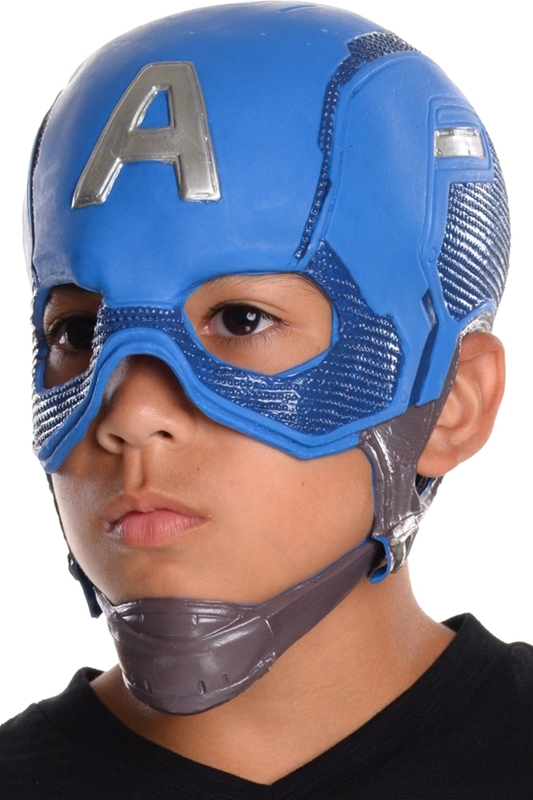 The soft vinyl child mask is modeled after Avengers Leader and Marvel superhero Captain America. Like in the film Captain America: Civil War, this version of Captain America’s mask features the iconic silver “A” on the forehead of the mask and a brown chin strap. The mask covers the front, top, and back of the head. Complete your Captain America costume this Halloween and Comic Con with this child mask.